Since its founding in Chicago in 1993, SDG Music Foundation has sought to enhance, promote and preserve classical sacred music in the biblical tradition at the highest level. For 6 years SDG was the sponsor of the Chicago Bach Project, featuring Bach's great choral masterpieces. At the heart of SDG's mission is the commissioning of new sacred music from the world’s leading composers. SDG-commissioned music is performed in concert halls, schools, and houses of worship around the world. World Premiere: When Did We See You? 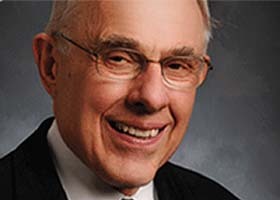 In honor of the 80th birthday of Dr. Richard Gieser, SDG’s Board Chairman Emerita, SDG Music Foundation and Kaye Filkin have commissioned a moving new choral work “When Did We See You?” by composer Dominick DiOrio. The World Premiere will be performed as part of an inspiring afternoon of choral music by Cor Cantiamo, under the direction of Eric A. Johnson. 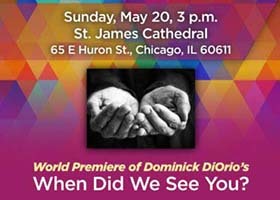 The premiere takes place on Sunday, May 20, 2018, at the beautiful St. James Cathedral in Chicago. 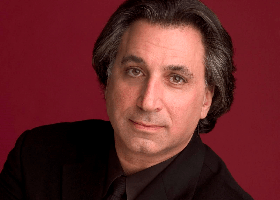 Co-commissioned by SDG Music Foundation in association with the Oregon Bach Festival and the Buffalo Philharmonic Orchestra, award-winning American composer Richard Danielpour has written a full-length, dramatic oratorio for chorus, orchestra, and four soloists. The Passion of Yeshua—presented in both Hebrew and English—brings the last twelve hours of Jesus’ life back to its Jewish origins. The World Premiere is scheduled for July 8, 2018, at the Oregon Bach Festival. Since the founding of SDG in 1993, Dr. Richard Gieser has dedicated time, talents, and treasure toward the mission of creating new works of classical sacred music. The results thus far are 43 commissioned works from 32 composers of 10 nationalities, with premieres and repeat performances in concert halls and houses of worship across the United States, Great Britain, and Europe. To ensure this important legacy endures, SDG has established The Richard G. Gieser Commission Endowment.